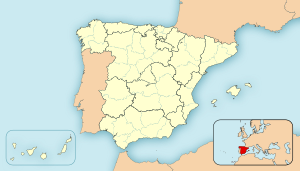 ^ Urban zones in Spain. World Gazetteer. ^ Functional area. 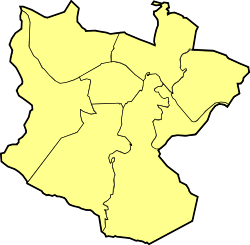 Bilbao Metropolitan Area. ^ Proyecto Audes Archived 2011年8月22日, at the Wayback Machine. ^ Iglesias, Lucía (September 1998). 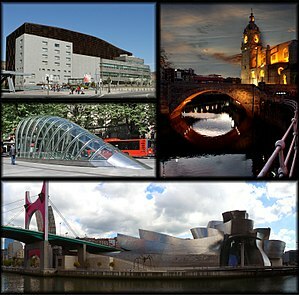 “Bilbao: The Guggenheim effect”. 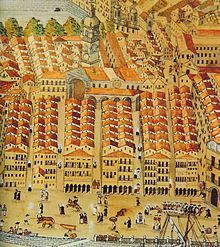 The UNESCO Courier (UNESCO): 41. ISSN 0041-5278. http://unesdoc.unesco.org/images/0011/001133/113355e.pdf#113376. ^ Shakespeare's military language. Books.google.co.uk. (2004). ISBN 9780826477774. http://books.google.com/?id=yT2YBt-iHgcC&pg=PA51&dq=bilbo+shakespeare+merry+bilbao#v=onepage&q=bilbao&f=false 2011年4月10日閲覧。. ^ a b Cenoz, Jasone; Jessner, Ulrike (2000). English in Europe: the acquisition of a third language. Multilingual Matters. pp. 180–181. ISBN 9781853594793. http://books.google.com/?id=iaEGdFnQDJcC&lpg=PA179&dq=basque%20linguistic%20model&pg=PA180#v=onepage&q=basque%20linguistic%20model&f=false. Olaizola Elordi, Juanjo (2002). 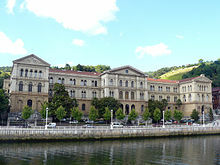 Bilboko tranbiak-Los tranvías de Bilbao. Bilbao. p. 177. ISBN 84-920629-8-3. オリジナルの2009年7月22日時点によるアーカイブ。. https://web.archive.org/web/20090722080941/http://www.euskotren.es/euskotran/html/castellano/pdf/LIBRO.pdf 2008年10月26日閲覧。. V.A. 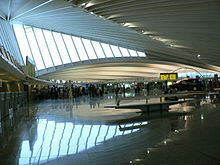 (October–December 1998). La Ría, una razón de ser. Bilbao. p. 147.